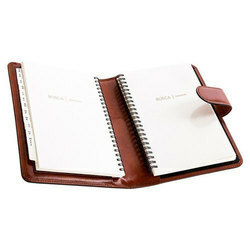 Being a well-distinguished company in the market, we are into offering Leather Address Book. Handmade telephone and address books at 21st Century Kagzis are made of artistic handmade papers and adorned with natural elements like dried flowers, leaves and other materials. 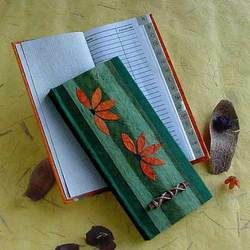 Furthermore, if you fancy romance of tie and bow of satin ribbons tying rose buds etc., you have come to right place seeking creative handmade paper telephone and address books. We are engaged in offering trade and business Directories that help in finding search right customer or supplier for different products. As per the convenience of the clients, we provide data for all types of businesses, educational institutions and other financial establishments. Furthermore, this given information is completely accurate and provided on a verified basis after analysis. My Visitorsbook.In a Very Unique Web Application Created to increase Your Product sales Customer Relationship and Promotion of New Products. There are Multiple Features to Make your Work Smarter.